Is there something like a rural school within Irish Noir? A lot of Irish crime fiction seems to be based on the belief that the genre functions best in an urban setting. However, the rural landscape I’m trying to describe is as richly textured as any cityscape. The border backdrop of Disappeared and Border Angels is not a vast and unpopulated wilderness. It’s a landscape compacted out of the generations that went before, and full of their mysterious presence; a claustrophobic stage into which too many competing tribes have been crammed, where the past lies cheek by jowl with the present, and where every thorn tree or rock has its own ghost, its own dreadful story to tell. You describe very vividly rural communities, and traditions (such as for example the wake of an ex IRA man in his house, and the response of his neighbours to his passing away) : are you interested in giving a sort of socio-historical, ethnographical account of a society many of your readers have no access to, or understanding of? If anything, I’m interested in setting the record straight, of doing justice to the landscape I love, and its people, who endured an extraordinary situation during the Troubles, and whose story I felt had not been properly represented in fiction or in the media. I believe good crime fiction gives an insight into a particular time or society in a way that history books can’t. Does the rural dimension in Crime fiction allow to understand something deeper about the place, its inhabitants and its recent past? Being Irish, landscape for me is much more than geography. It’s a part of my collective identity. It’s also a window into the soul of a country and its troubled history. From the outset, I wanted to create a landscape that would communicate the emotional action of the plot and the looming sense of threat. I also wanted it to be recognisably Irish. I take a guilty pleasure in drawing the reader’s attention to the strangeness of the Tyrone landscape, making them shudder at a gruesome-looking blackthorn tree, a rotting cottage, or a treacherous bog. I wanted readers to feel the dark gravity of the border countryside, its interlocking parishes of grief and murder, its mesh of twisting roads, the sense that out there amid the blackthorn thickets and swirling mists, loose bits of the past are still wriggling their way through the shadows. I was especially drawn to Lough Neagh. It’s the largest freshwater lake in Western Europe, but it must be one of the most unappreciated vistas on these islands, a void in the interior of Northern Ireland. Its water level sank about fifty years ago, removing it from the view of local roads and vantage points, so that might be one of the reasons for its hidden nature. In winter, it’s often shrouded in fog, adding to its air of being withdrawn into itself. It felt like a place accessible only to the imagination, and I thought it might be a useful metaphor for the hidden stories of the Troubles, the amnesia that has been operating in the midst of life here after the Troubles, the void at the heart of the peace process, the plight of victims and their quest for justice, the unsolved murders that have been quietly removed from view. 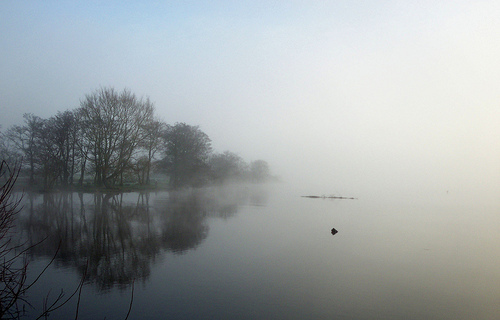 Even if one has never been to Dunmore, and only fleetingly knows Co Tyrone, and places like Lough Neagh for example, there might be a suspicion that all these places are maybe not as magic, haunted and beautiful as your descriptions of them make them to be…. Are they, or is it how you see them? The Irish landscape I know and love has its own geography of moods, an interweave of darkness and light, which I find constantly mesmerizing. I’m not sure if my descriptions bear any resemblance to what is actually out there, or if anyone else notices what I see. Perhaps they are more a reflection of a region of my mind. The settings always come first for me, shaping the characters and plots. At heart, I’m a thwarted poet and my muse is Tyrone, its gurgling bogs, its frozen thickets of thorn trees, its mists swirling in from Lough Neagh. Do you write regularly? Daily, or weekly? I’ve always written around my day job and my hectic family life – we have four young children. I find that the busier you are the more you get done. Writer’s block is a luxury a harried father can’t afford. So I rise at 6am and work for a few hours, and resume last thing at night for a couple more. There are sacrifices, usually in the form of entertainment and a social life. However, spending several hours alone with a blank page every single day changes you, for the better, I think. You become more reflective and meditative. My worst fear is that someday I will wake up and be told I have to stop writing stories. What difference did it make to you, having finished a book? What skills did you learn in the process, and you maybe would not have otherwise? Whenever I finish one book I move swiftly to the next; each one is an all-consuming obsession, filling my waking thoughts and quite a few of my dreams. In the end, however, they are the very opposite of children. Once they are created, I disown them completely and move on without looking back. It’s the only way to work as a writer otherwise you would never create that elusive perfect novel. What kind of books do you read? And in the Crime genre, who are the authors you like the most? I wanted to emulate what I admired so much in writers like Conrad and Greene, the intelligent prose, the powerful sense of atmosphere, and the strong narrative drive. Most importantly, I wanted to engage the reader with the politics and change that are going on in Northern Ireland. 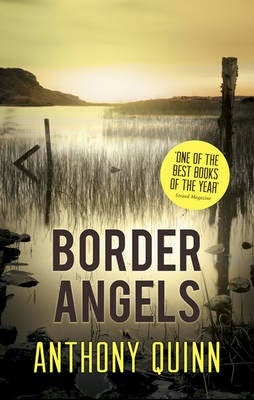 To what extent do you accept you are perpetuating a myth of the border as a place of lawlessness with all this illegal border activities you describe in Border Angels, for example? I hasten to say that the vast majority of people who live along the border are peaceful and law-abiding. However, the criminal elements remain entrenched. For instance, customs officials are busting an illicit fuel plant every ten days, and the number of dismantled sites has doubled in the past decade. No matter the political outcome, this part of Ireland will always remain to an extent a lawless zone. Its fight is with any form of authority, not just an occupying army or a civilian police force. The border I describe in my books is as much a region of my imagination as a real, physical place. My main characters have already crossed invisible borders, political and moral. They are fugitives, beyond the law. They disappear into the strangeness of border country and find refuge there. On a personal note, I grew up three miles from the border. During my childhood, it was a geographically inescapable fact of life. But in those days, every police or army road-block felt like a dangerous frontier that had to be crossed, sometimes several times a day. Many of us still carry the border within us. I still remember the apprehensive silence in the car when passed through the checkpoints, none of us daring to look back to see what the checkpoint looked like on the other side. We just stared straight ahead into the darkness. If we had looked back we might have seen them and the border itself as something different, a form of protection, a ring of security, rather than a zone of danger. I have two books out this autumn. Blind Arrows is an historical thriller featuring Michael Collins, and Silence is the third in the Celcius Daly series. 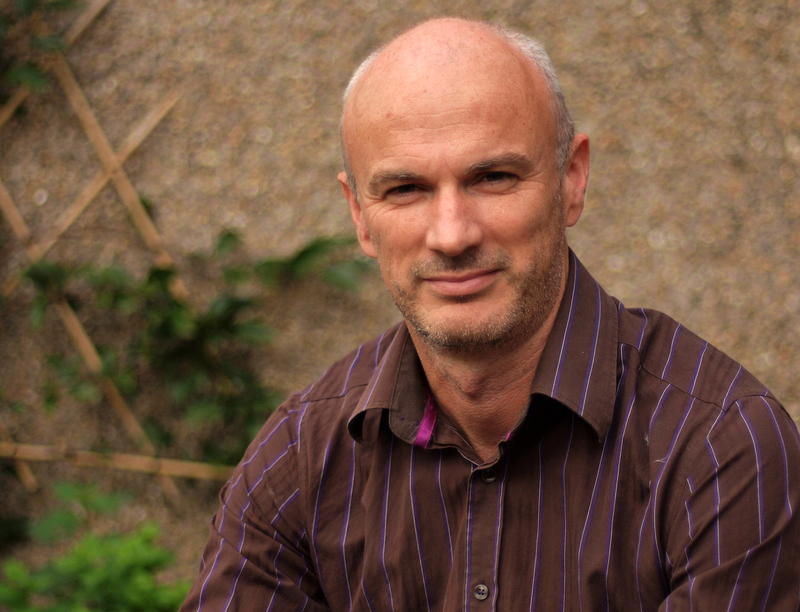 In many ways, Silence is the darkest narrative that I’ve excavated from the Troubles. The screw of loss and estrangement is twisted further in Daly’s life, when he discovers that his mother, who died during the Troubles was not the unfortunate victim of crossfire in a paramilitary attack on police as he had been told, but the intended murder target. 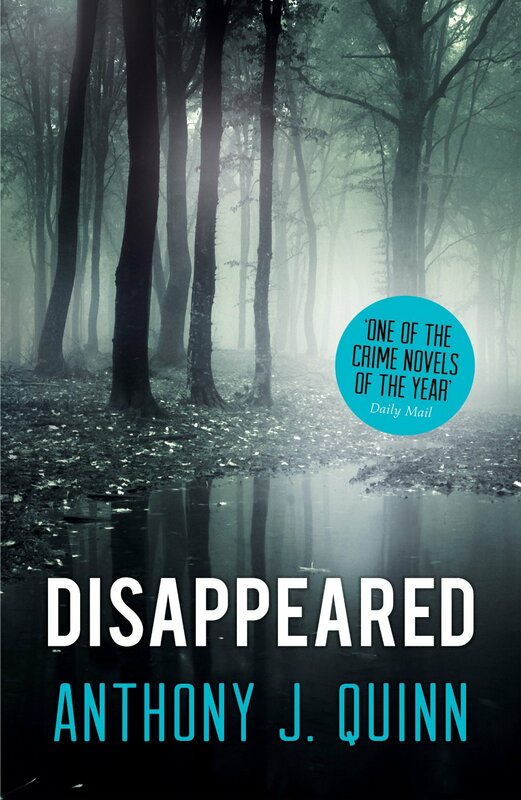 The book is not so much about the riddle of her death but the mystery of the silence that descended afterwards, the silence of the police and politicians, and his own father’s reticence in telling Daly the truth. Daly soon finds himself drawn back into the labyrinth of the past.